Below are the team rosters for the Carolina Crown meet. 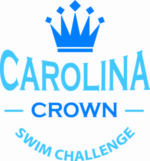 The third annual Carolina Crown Swim Challenge will be held on Sunday, April 30 at the new outdoor 50m pool in Clover, SC, not far from Rock Hill, SC. The 2017 Carolina Crown will be the first event held at the new pool (home pool of the RAYS-SC swim club). Thanks to Head Coach Tim Conley for offering this site for this event, now in it’s 3rd year. The meet features top 15-18 year-old athletes from North Carolina and South Carolina. Warm-ups are scheduled to begin at 12:30 pm with a meet start at 1:30 pm.